To inquire about any available native plants for targeted restoration actions that enhance salmonid habitat, email Sarah Phillips at Sarah@marinrcd.org. I am out of free native plants at this time but hopefully an abundance of different species will come soon, stay posted! Native riparian vegetation which provides an increase in canopy cover, food supply, nutrient cycling and dissolved oxygen. Riparian vegetation also provides diversity of wildlife habitat, riparian complexity and migratory corridors and improved water temperatures. If you would like to learn more about willows or how to identify common willows in Marin, click HERE for a valuable resource! 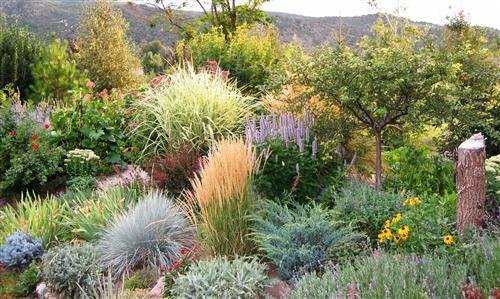 There are so many local nurseries that provide native plants for Marin County residents. To check out which one(s) are closest to you with website and contact information, click HERE. If you’re in need of native plants but cannot afford the cost, email Preston Brown, Watershed Biologist with Salmon Protection and Watershed Network (SPAWN) for opportunities to volunteer in trade for plants. ONE hour of rewarding volunteer labor bears the fruit of TWO native plants, genetically specific to the San Geronimo Valley. Contact Preston to sign-up at preston@tirn.net and click HERE to find out about upcoming volunteer opportunities with SPAWN. “A new study conducted by Dr. David Johnson at the University of Aberdeen found that plants actually communicate with one another through the soil. The study shows that when vegetables are infected with certain diseases, they alert other nearby plants to activate genes to ward off the disease when it heads their way. The key to this communication is a soil fungus that acts as a messenger. Soil fungus and certain plants have a symbiotic relationship, according to the research team, who shared their findings with The Economist. The plants deliver food and the fungus delivers minerals. But now it turns out the fungal hyphae, which creates a network in the soil that connects the various plants, plays another essential role as a messenger”– The Economist. Click HERE to learn more. Many of us that live in the Bay Area, live with Eucalyptus. Although the leaves have allelopathic compounds (naturally-produced chemicals that suppress vegetation growth), there are plants that are native to CA that can withstand the toxins. As you remove the leaf litter for fire protection, consider planting the following plants to help reduce erosion and maintain vegetation in and around the trees. Click HERE to review the plants! Newer to Marin with the potential to cause BIG unprecedented issues is the Japanese knotweed (Fallopia japonica). Please contact Sarah Phillips Sarah@marinrcd.org or David Lewis at Djllewis@ucanr.edu to inform them of any sightings. You may also view this FACT SHEET to learn more. THE WEED WORKERS’ HANDBOOK A Guide to Techniques for Removing Bay Area Invasive Plants by The Invasive Plant Council and The Watershed Project is a great resource to check out HERE. To learn about the negative impacts that English Ivy (Hedera helix) inflicts on watersheds and your property, Click HERE. To learn about the negative impacts that Japanese Knotweed (Fallopia japonica) inflicts on watersheds, your property and the riparian corridor, Click HERE. Proper plant choice for landscaping in the vicinity of onsite wastewater systems is a concern for many property owners. 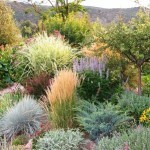 The key is to select plants that will satisfy landscaping needs while not harming the function of the system. Click HERE to view a list of appropriate plants to plant in these sensitive areas on your property. This document was created by the County and revised by the Marin RCD, per request. MCSTOPPP’s list of Home & Garden Resources are plentiful and provide guidance around ‘Slow it Spread it Sink it’ projects, Integrated Pest Management and Rainwater Catchment, Native Plants, etc… Click HERE to download their resources.